My relationship with coffee is complicated and hard to explain! I love the smell of coffee, love iced coffee and frappuccino but won’t go near hot coffee! Why am I writing a post about coffee then? Well that is meant to say that even if you are not a coffee person, there are so many other ways to enjoy coffee, especially good quality coffee. 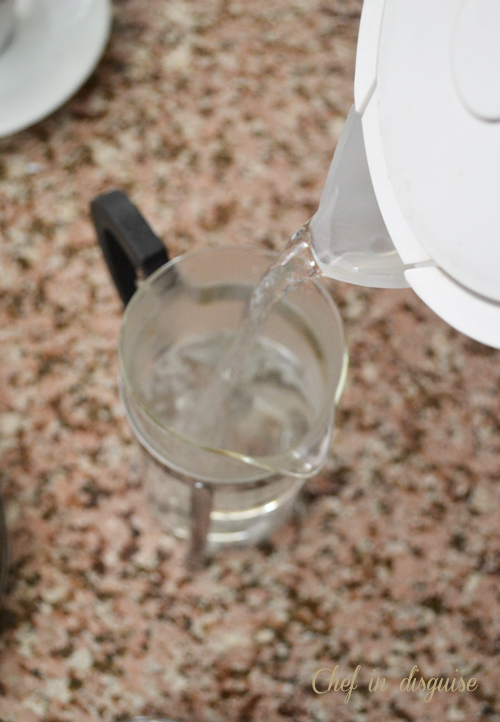 Use a kettle to boil your water. Allow the rest of the boiling water to sit for a couple of minutes after boiling before adding it to the press. Don’t fret too much about temperature, but most coffee geeks recommend 180-200 degrees Fahrenheit. Add the rest of the water, let the coffee steep for 3 more minutes. That is a total of 4 minutes. After the time has passed, press the plunger down slowly. Pour the coffee into your cup or mug. You do not want to leave the coffee sitting on top of the grounds, as that will make it bitter. A few weeks ago Puro fair trade coffee contacted me and offered to send me a sample of their coffee to review. 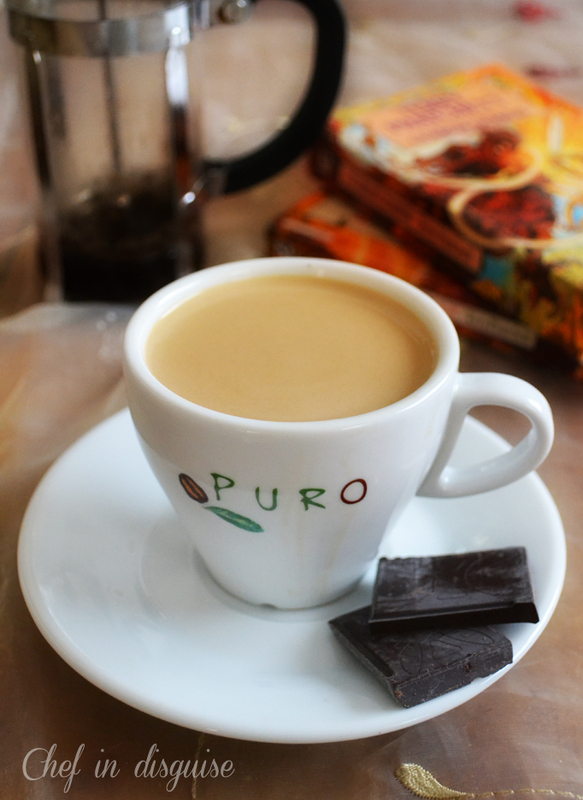 Puro Fairtrade Coffee is a brand from a company called Miko who has been roasting coffee in Belgium for 212 years now. It was created in 2005. I expected to get a small bag of coffee but instead they were extremely generous to send me this wonderful package. The package contained samples of 3 blends of coffee, hot chocolate, brown sugar, an elegant cup a book marker and a little rose.My kids were hyper excited to try the hot chocolate and that is the one we started with. Both my kids gave the chocolate two thumbs up. Grown in Peru and Honduras. This coffee is made up of 100% of the finest Arabica. It combines soft notes of sweet chocolate with tangy citrus. What is Arabica and robusta coffee? To clear up the terminology. Arabica is a species of coffee originally indigenous to the mountains of the southwestern highlands of Ethiopia. 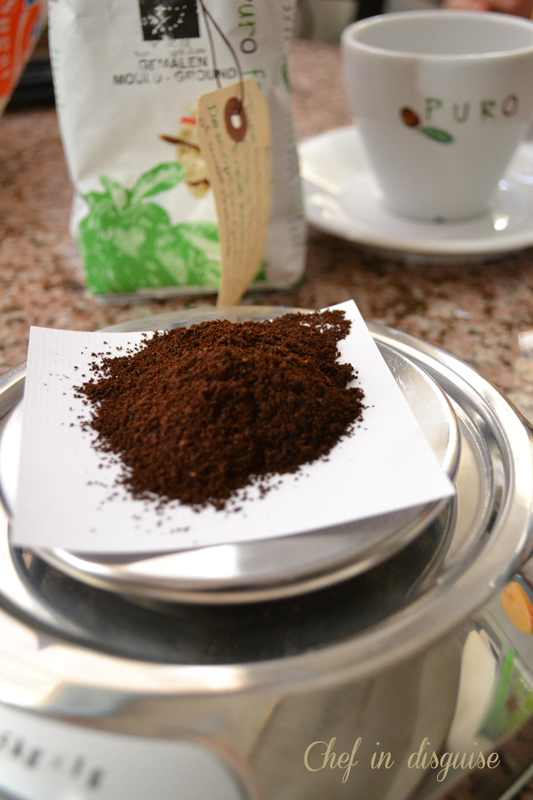 It is also known as the “coffee shrub of Arabia”, “mountain coffee” or “arabica coffee”. Coffea arabica is believed to be the first species of coffee to be cultivated, being grown in southwest Ethiopia for well over 1,000 years. Arabica is said to produce better tasting coffee than the other major commercially grown coffee species, Coffea canephora (robusta), because robusta cherries contain twice as much caffeine as arabica. Caffeine itself has a bitter taste, making robusta more bitter. 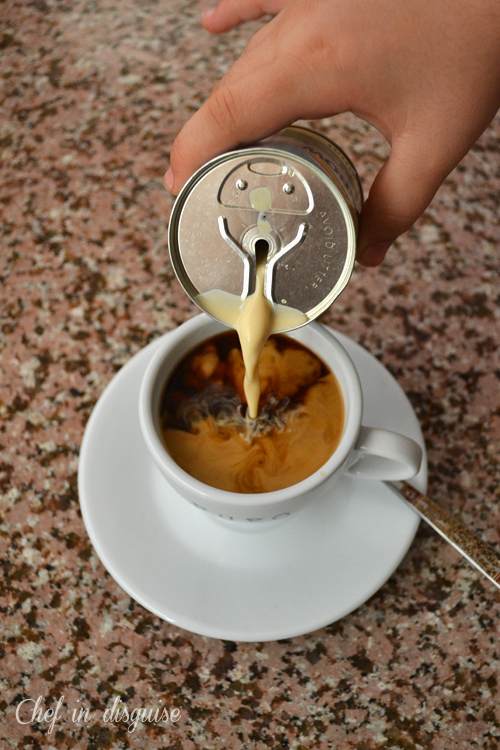 Arabica on the other hand contains less caffeine than any other commercially cultivated species of coffee. So, what do you think of the coffee? I tried the coffee myself and gave some of it to my coffee loving friends to get their feedback. I opted to start with Puro Organic as that coffee is described to have chocolate and citrus notes. That combination happens to be one of my favorites. The coffee definitely has a personality and vibrancy. The flavor is rich and even though I could not taste the chocolate and citrus tones I loved the layers of flavor this blend offered. It ended up being my most favorite of the three. Despite the fact that I don’t usually drink hot coffee, I really enjoyed starting the day with a cup of Puro organic coffee. It seems that my morning cup of tea may have some serious competition. I found that the Fuerte and noble blends were too strong for my taste. Maybe that was due to the fact that I am not much of a coffee drinker. My coffee loving friends loved the Fuerte and the noble better than the organic. They loved the roasted bitter taste these two blends have. 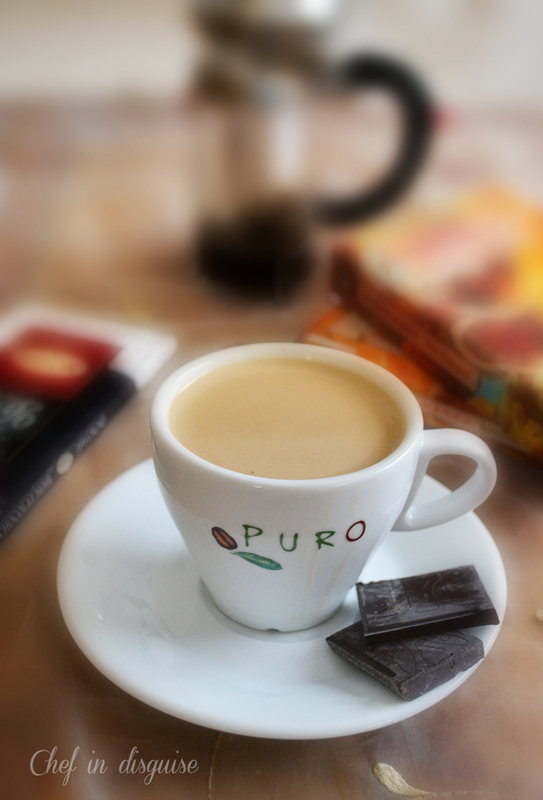 Where can I get Puro Coffee? Fairtrade products are grown by small farmers or plantation workers, who are meticulous about their business and generally pick their crop with great care. They have often grown up knowing nothing else but coffee, with their forefathers teaching them the tricks and trades of the industry so they have become agricultural masters. They talk passionate about their beans, their way of life, and their families. Fairtrade aims to help producers in developing countries to make better trading conditions and promote sustainability ( the capacity to endure. In ecology the word describes how biological systems remain diverse and productive over time). It advocates the payment of a higher price to exporters as well as higher social and environmental standards. 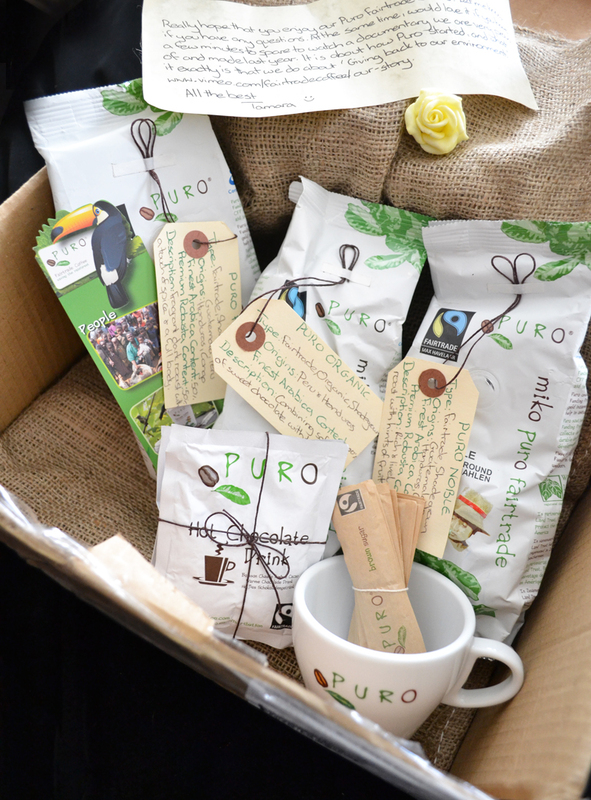 What I really loved about Puro and what made me say yes to the review is that alongside Fairtrade, they have a passion and a mission to communicate the threat to rain-forests and the need to preserve it. You see, after oil, coffee is the second most traded commodity in the world. It is sometimes referred to as green gold, so imagine the amount of coffee consumed every day all over the world. By putting messages on their cups and sharing their stories and videos with their clients and consumers, Puro hopes to help make a difference. They want to show other companies that people and planet are just as important as profit. You see,rainforests once covered 14% of the earth’s land surface but now they cover a mere 6%. Experts estimate that the last remaining rainforests could be consumed in less than 40 years. Within the next quarter of a century, nearly half of the world’s species of plants and animals could be destroyed or severely threatened due to rainforest deforestation. Puro aims to assist in every small way in halting the deforestation of our planet and they have teamed up with the World Land trust to assist in making it an economic reality. The World Land Trust conserves biodiversity by protecting threatened habitats and, in cooperation with local partners and communities, helps to ensure that they are managed sustainably. Puro now has reserves in Brazil, Ecuador, and Guatimala. Their efforts to give back to the planet does not stop there. Miko has 9000m2 of solar panels on the roof of their building to generate their own electricity. They have a webcam in the rainforest that shows streaming wildlife footage from the breathtaking Brazilian Atlantic Rainforest.They even have a section on their website called coffee recycling to give you ideas on how to recycle used coffee. Add the used coffee to your plant pots,use it as an exfoliant, try it on furniture scratches or as a deodorizer. On Puro fairtrade coffee’s facebook page, they share amazing pictures and info about animals and plants in the rain forest. Like the cute pygmy marmoset(which is found in the Amazon Rainforest and is said to be the smallest monkey in the world) and the Baobab tree. It’s also known as the upside-down tree, because its branches look like roots. It’s found in Madagascar and the chunkiness of its trunk is explained by its ability to hold up to 120,000 litres of water, which helps see it through periods of drought. I love sharing these pictures and information with my kids so that they can learn more about this wonderfully beautiful planet we live on. Please rest assured that even though the products were sponsored, it does not have any bearing on the content of this post. Opinions stated are objective and genuine. Posted in Drinks, How to and tagged Arabica coffee, coffee, coffee granules, coffee grounds, ethical eating, fairtrade, hot coffee, how to brew coffee in a french press, How to make the perfect cup of coffee, product review, puro coffee, quality coffee, save the rainforest, smell of coffee, what does fairtrade mean. Bookmark the permalink. Me too me too Sawsan!! iced coffee anyday over hot coffee!! and for the kind of day i’m having right now.. iced coffee would be heaven!! This is a great overview of how to use a French press– a small investment for a vastly improved coffee experience. I really like that you took the time to use a scale– it’s always better to weigh coffee rather than measure. I highly recommend whole bean coffee instead of ground coffee, however. A freshly ground coarse roast will multiple the experience of the French press. And the beans should preferably have been roasted within the last week. If you haven’t tried grinding your own beans (and not with a blade grinder) the resulting coffee (and smell!) is truly amazing. We love coffee in our house. We fresh grind every single cup of coffee. I’ll have to try this brand. Thanks! What an excellent review Sawsan, I can totally see why they chose you and sent you the lovely gifts. l am a HUGE coffee drinker, our coffee machine at home is a beautiful Jura, automatic (it was a gift from my employer/friend) — it makes the most perfect coffee with a significant crema on top. In fact I’m enjoying a cup right now. We used to use a French press but I had read that the caffeine content was significantly higher than a drip version using the same coffee; the longer the coffee sits in the water the more caffeine molecules it picks up. Believe it or not, espresso is the least caffeinated due to the fact the caffeine molecules are not as much attracted to steam as they are to water. Go figure. I hope the unrest has settled down, we are not getting as much news coverage these days. I’ve never used a French press! Mainly because we don’t drink a lot of coffee – both Mrs K R and I love it, but it reacts badly with her system (only when she drinks it; she can eat baked goods that include coffee). One of these days I should get one of these gadgets, though, because the aroma of freshly brewed coffee is so enticing. Good tutorial and review – thanks. I love the smell of coffee, but I can’t drink it.Too much caffeine for me. I like coffee but I have trouble with anything really hot – even showers. While everyone is finished, I’m usually still waiting for my coffee to cool enough to drink. my husband only makes french press coffee and i’ve grown to just love it! I hadn’t used my French Press for a long long long time but have been using it now to make cold brew coffee which is how I like to make my iced coffee. I am not much of a hot coffee drinker any more. 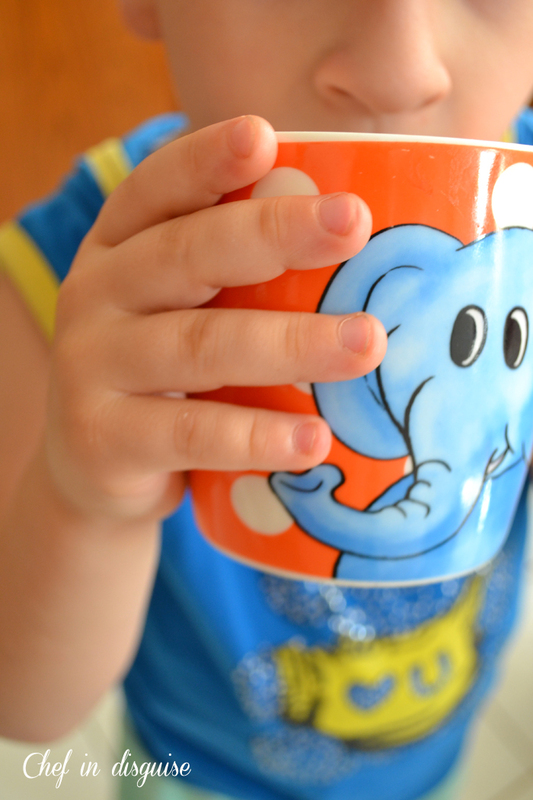 Sawsan I love the photo of those beautiful chubby fingers clutching the mug of cocoa. Great post for a worthy product. What a fab goodie bag! Looking forward to your iced coffee recipe. We’ve finally hit Spring so it’s iced coffee season for me! Mmmm, you lucky thing! I’d love to get sent some coffee… it keeps vanishing in my house! I drink far too much of it and it’s one of my most expensive habits but it’s sooooo good. I always love to try new coffees. I’ll check out the site you linked and see if it’s possible to get a hold of it around here. I just recently switched to drinking decaf in the evenings (I used to drink straight up espressos) and have just found a brand of decaf coffee which is incredibly good… it tastes almost the same as regular so I’m really happy! 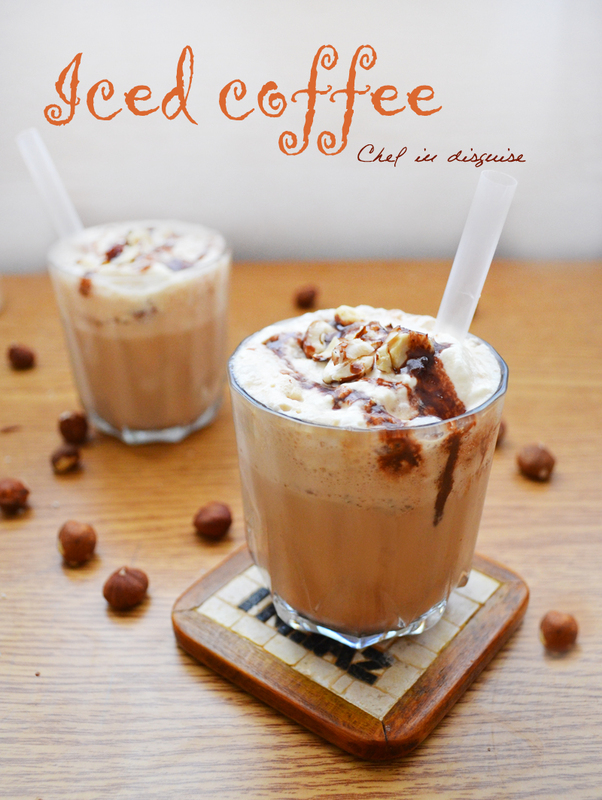 I like ice coffee – looks delish!! It is nearly midnight and you have me lusting for a cup of French pressed coffee! I plan to reblog this most tomorrow to celebrate the first day of Fall. Thank you, my friend! What a treat to read about French Press coffee on the first day of Fall. I absolutely love a good cup of coffee. My son introduced me to French Press. Yum!! The French press does make the best cup of coffee! I’ll have to try your method. 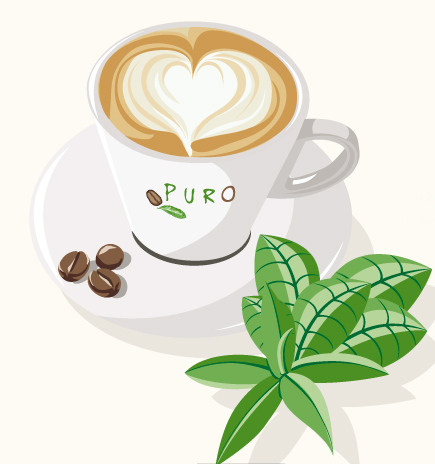 thanks for the review on Puro coffee. I’ve never heard of them, but it sounds like a great company. Interesting – I too love the smell of coffee, but I can only stand it hot. I can’t drink it cold at all. 🙂 Speaking of coffee…it’s about that time of year that I enjoy the pumpkin flavored coffee! Yum! I read about the French Press, bought it, love it. 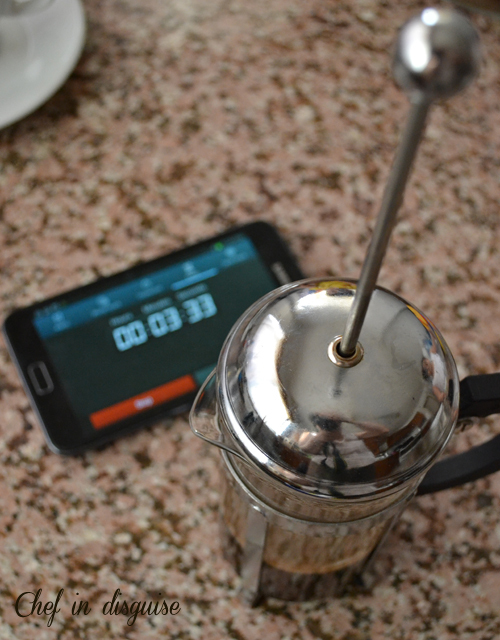 I’m using Eight O’ Clock Coffee right now, and would like to try something else in the future. Go to http://www.getpropercoffee.com for the first authorized US Distributor. There’s a campaign on Indiegogo going on right now to give everyone in US 30% off all pre-orders + FREE SHIPPING + 20% off future orders. Act quick! Once the campaign is over, they will only distribute to Ohio! If they reach goal, you’ll get twice the fair trade coffee & tea! If you refer 5 people, you get it for FREE! Share the great news on Facebook, Twitter, Pinterest…! !